At FunktionAlley we try to concentrate on timeless design and not get too wrapped up in the latest ‘fashion’ however there is a current trend we really love. Several of the producers we work with have launched products in pink. At the FunktionAlley store we are often discussing whether the showroom is a little to masculine and so we have been pleased to welcome these products to soften our look. 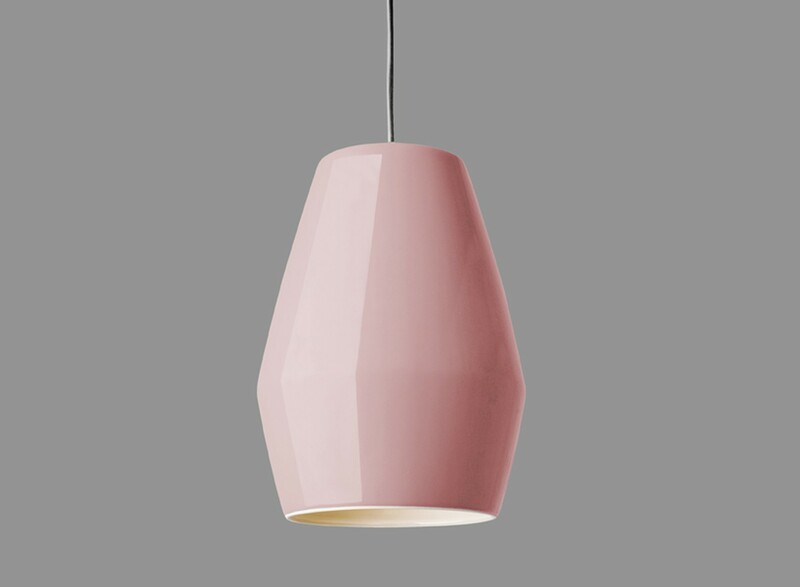 The Norwegian Mood Makers Northern Lighting are currently exhibiting at the Stockholm Furniture and Light fair and have launched their Bell Pendant Light in a colour they describe as ‘Old Rose’. Its UK launch was at Design Junction last year and the first batch has arrived and is available to order online and should be in store within the next couple of weeks. Borastapeter have produced wallpapers by Scandinavian designers and one of the most popular is Grazia designed by Stig Lindberg in 1949. 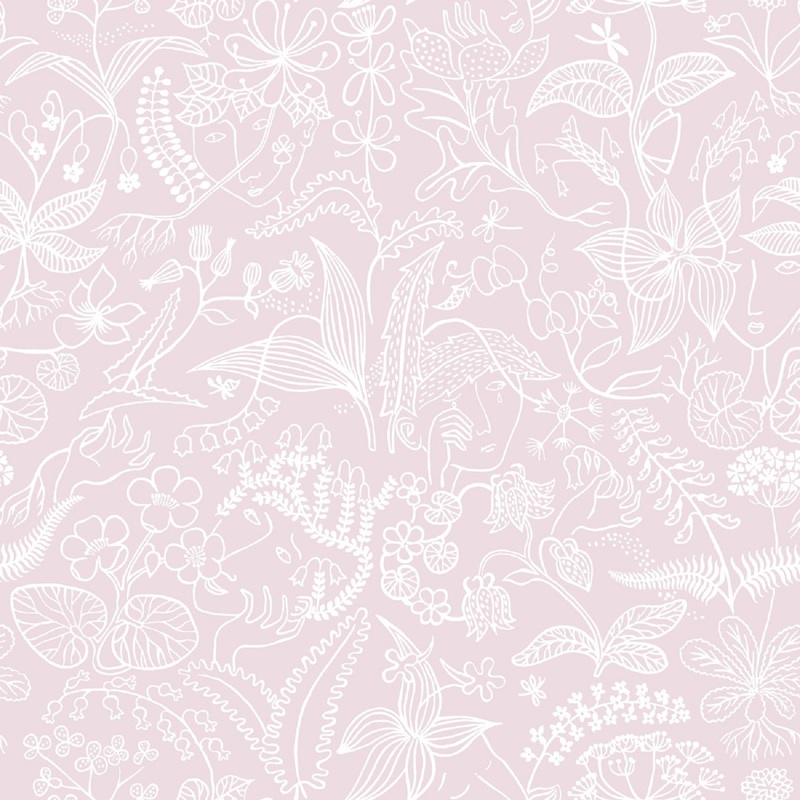 Grazia features a fantasy woodland theme, and looks fantastic in soft pink (2746). Danish design producer Muuto have launched a range of products in beautiful pastel pink including their popular E27 pendant light and the Nerd stool and chair range; but probably most significantly they have released some new inspirational images of their connect sofa in this fabulous rose fabric. 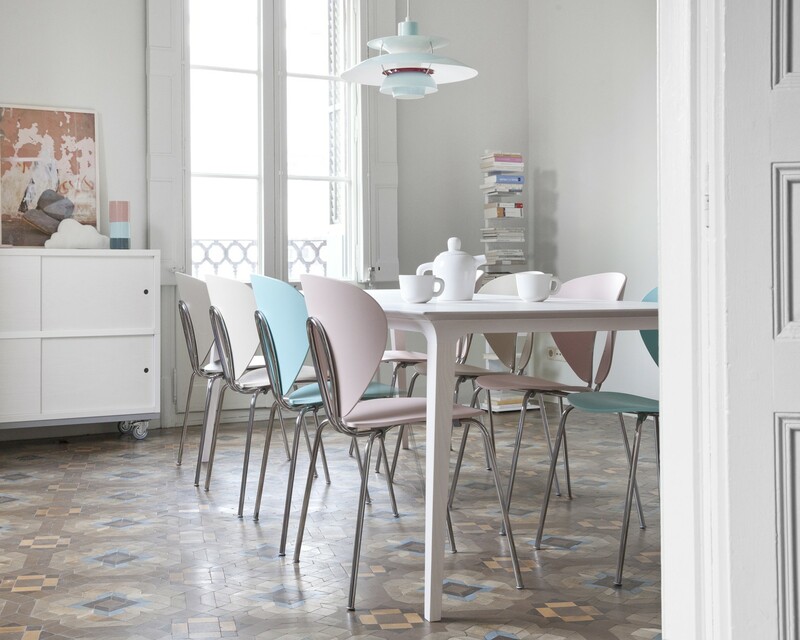 Stua have recently launched the Globus chair in pastel shades that will enhance and add colour to any kitchen or dining space. The light pink is very subtle and works beautifully alongside the other newly released colours and pale wood finishes.